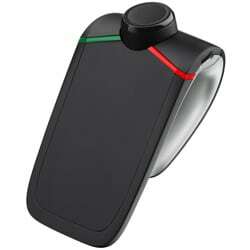 A new hands-free car kit from Parrot features NFC pairing via a built-in tag. The Minikit Neo is designed to clip onto the driver’s sun visor, is completely voice controlled and can connect to two phones simultaneously via Bluetooth. The device will be available in September for €80 (US$98). The company has also announced that its Zik NFC-enabled headphones, announced in January, will be available worldwide from August. The high-end cans, designed by Philippe Starck, feature noise cancellation and NFC pairing and will retail at €349 (US$428). iPhone to get NFC in Sept/Oct?